Bernadette Jiwa's brilliant new book is out this week. 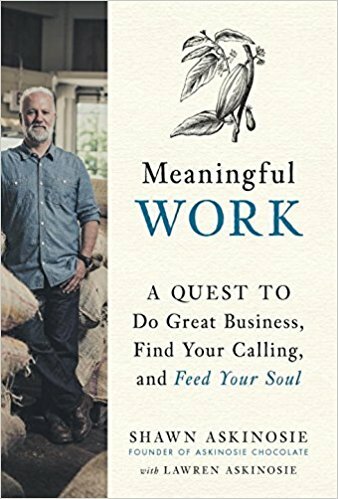 What others thought about "Meaningful"
"The most important book for your boss to read this year." "Empathy, relevance, and affinity-three great concepts to help you make a dent in the universe. Jiwa explains a whole new way to innovate and change the world." "A must read for any entrepreneur or marketer. It's full of lots of "aha" moments with a concrete tool that you can implement immediately. This book should be added to every marketer's toolkit!" "This book and the Story Strategy Blueprint inside are invaluable for anyone who wants to disrupt their industry and to know and genuinely matter to their customers. Bernadette's unique views and teachings will give you the most important, empathetic tools to know the consumer and be a successful storyteller." "As marketers our future value and success relies on using our customers as our compass. Through inspiring case studies, learn about the Innovation Trifecta and how affinity that is earned, rather than attention that is bought can power your business growth. Bernadette digs deep to explain why brands that give a damn make a difference and win in terms of profits, people and the planet." Our new digital landscape has spawned an entrepreneurial culture and the belief that anyone with a laptop and an Internet connection has the power to change the world-to create an idea that flies. But for every groundbreaking business that started this way, a thousand others have stalled or failed. Why? What's the secret to success? What do Khan Academy, the GoPro camera, the Dyson vacuum cleaner and Kickstarter have in common? After years of consulting with hundreds of innovators, creatives, entrepreneurs and business leaders to help them tell the stories of their ideas, I have discovered something: every business that flies starts not with the best idea, the biggest budget or better marketing, but with the story of someone who wants to do something-and can't. We don't change the world by starting with our brilliant ideas, our dreams; we change the world by helping others to live their dreams. 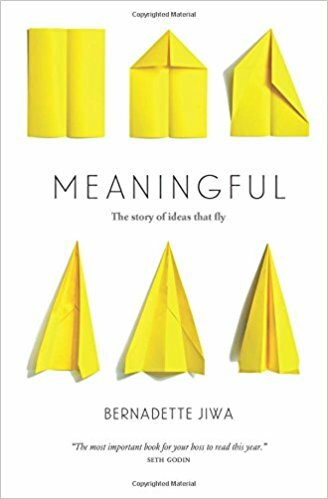 The story of ideas that fly is the story of the people who embrace them, love them, adopt them, care about them and share them. Successful ideas are the ones that become meaningful to others-helping them to see what's possible for them.